The moon is close and yet so far from all of us, sitting up there, in the sky, all beautiful. 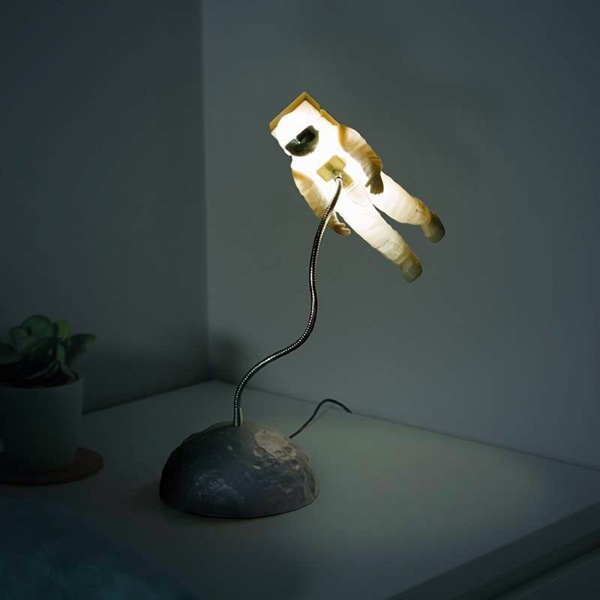 Most of us will probably never get to be an astronaut but you can keep one at your desk with the Astronaut Light, a cute little lamp that will make you think of space. 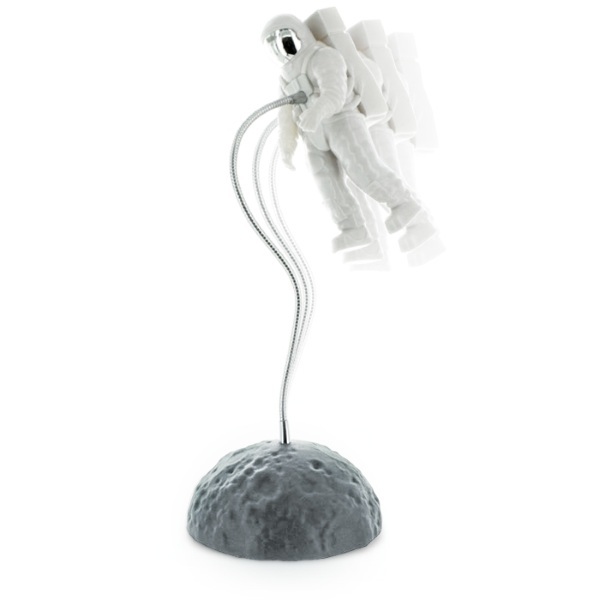 This lamp is an astronaut tethered to the moon. This is a cute little nightlight. The space explorer hovers around the planet, you can change their angle and location by moving the cord. It’s perfect for space obsessed folks who need a little sparkly for their living spaces. It runs on either USB cable or 3 AAA batteries. Small and whimsical, keep it on your desk to remind you that no one is really alone in the universe, eve when they’re miles away.